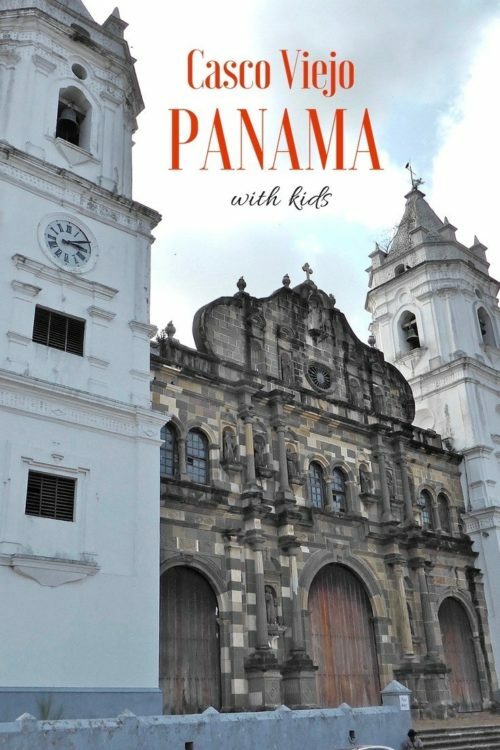 “You are seriously taking your kids to Panama?” we were asked several times in the months leading up to an upcoming Central American adventure. At some point I started to second guess myself, leading me to pour over the numbers again. No, Panama was not considered to be as safe as Costa Rica, with crime statistics more on par with Mexico (a place we have visited several times with our children). While the majority of our trip had us in remote and relatively safe locales such as Bocas del Toro and the San Blas Islands, our final leg had us staying in the gorgeous but slightly dodgy district of Casco Viejo within Panama City. Casco Viejo is a historical area undergoing gentrification. Long ago abandoned by the establishment, it was declared a UNESCO world heritage site in 2003. In recent years, dilapidated buildings have been painfully restored to their former glory, now housing gorgeous boutique hotels and hip restaurants. Such rapid change, however, is never easy, especially considering that over many decades Casco Viejo had fallen into a deep urban decline. Determined to visit, I borrowed the words of our family physician (and fellow avid traveler) who said to me You just need to be a smart traveler. What a smart traveler means to me is that before our trip I was fully up-to-date on any potential problems in the area. There was a Dengue outbreak in Panama City and a looming country-wide worker’s strike (apparently the latter is frequently the case). I had researched Casco Viejo well. I knew that there was a very high tourist police presence and that it was recommended to avoid certain streets, especially at night. We paid extra and used the cab company recommended by our hotel. We also explained the lay of the land to our children, making sure they fully understood that this was not the kind of city where you could pull out an iPod on a cafe patio. The few valuables we travel with were left tucked away in our hotel safe with our passports. With that giant disclaimer aside, I can honestly say that we loved Casco Viejo and would absolutely visit again. 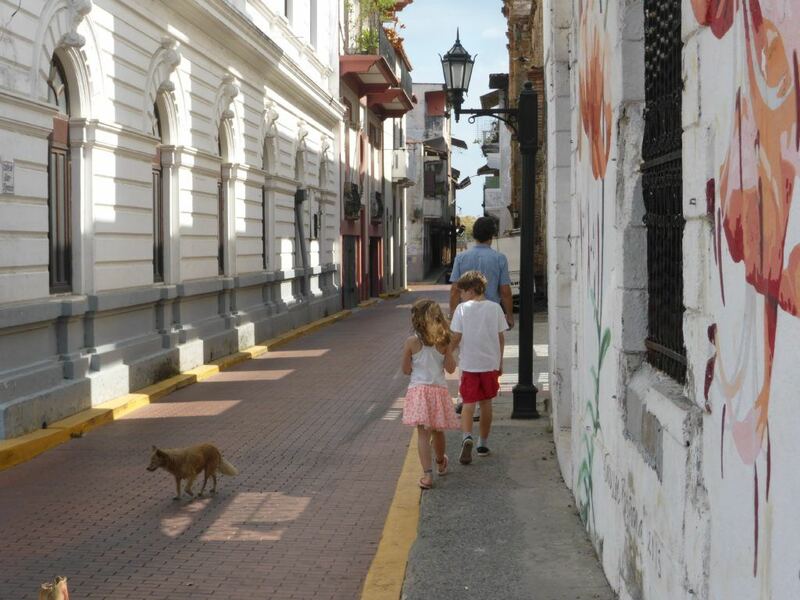 So…without further ado, here is our family-friendly guide to Casco Viejo, Panama and a quick 2 minute video of our time there. Play: Wander the streets admiring the ornate Spanish architecture. Shop for arts and crafts at the market off Plaza Catedral, along Avenue A from Calle 7 to the water, and then along Paseo Esteban Huertas where you will find yet another craft market. 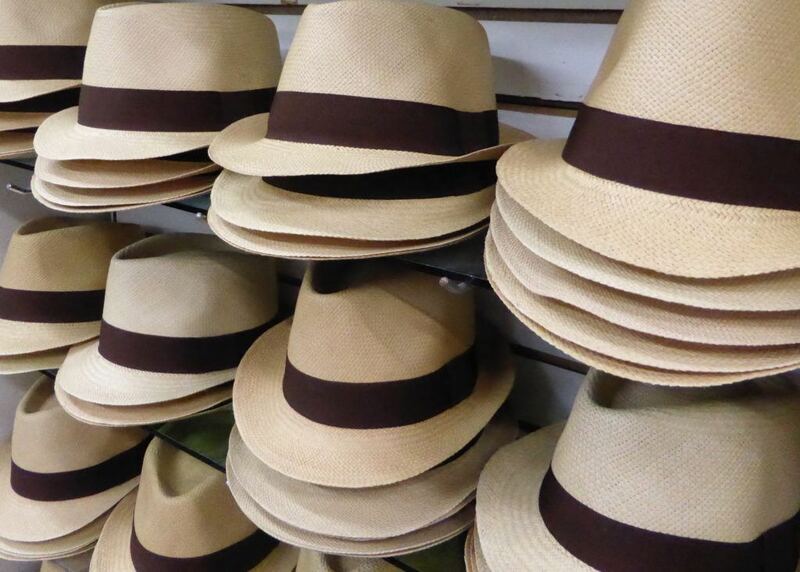 Buy a Guna mola, A Wounaan carved tagua nut, an Embera wovern basket or a Panama hat (ironically made in Ecuador). From your base in Casco Viejo take a 20 minute cab ride to see the Panama Canal locks at the Miraflores Visitors’ Center. Visit either before 10am or after 3pm so as not to miss the ships passing through the locks (the shipless midday gap is due to the fact that the direction of the ships passing through the canal changes). 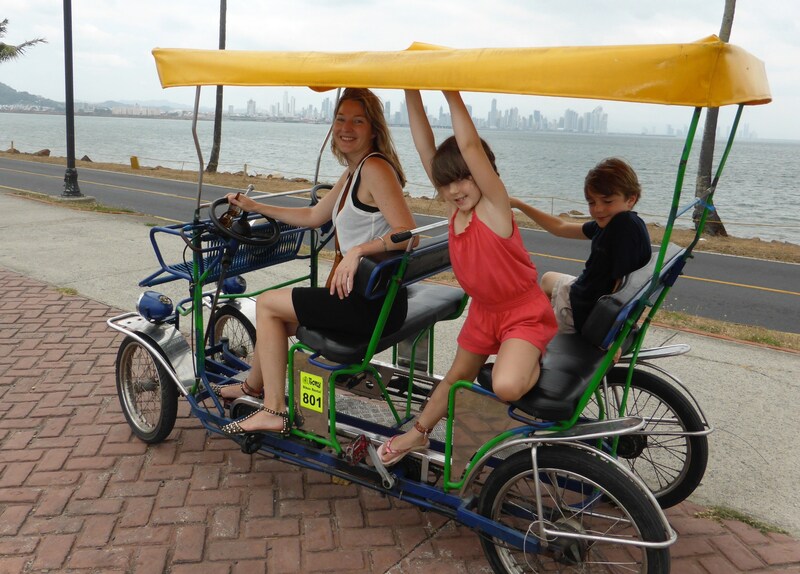 Spend an afternoon on the Amador Causeway, renting a family size bike from Bikes and More (fun, but they handle terribly), visiting the Smithsonian Punta Culebra Nature Center (short walk around a point to view sloths, turtles etc.) 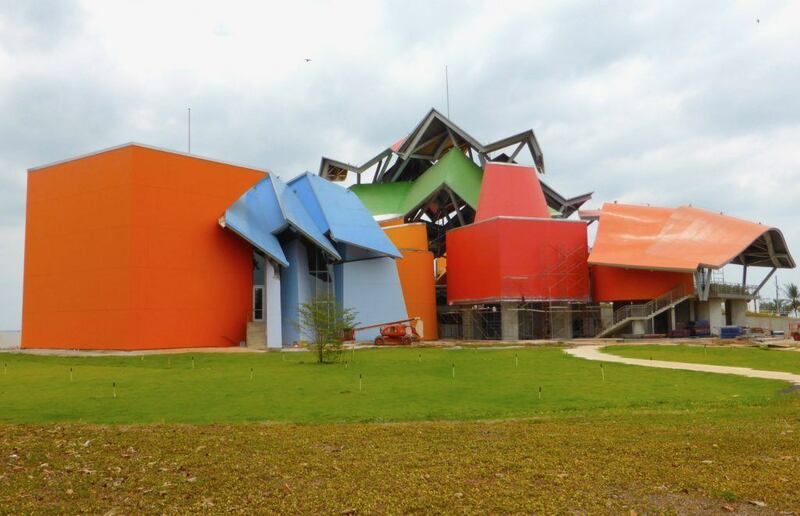 and trying out the interactive exhibits at the Frank Gehry designed BioMuseo. 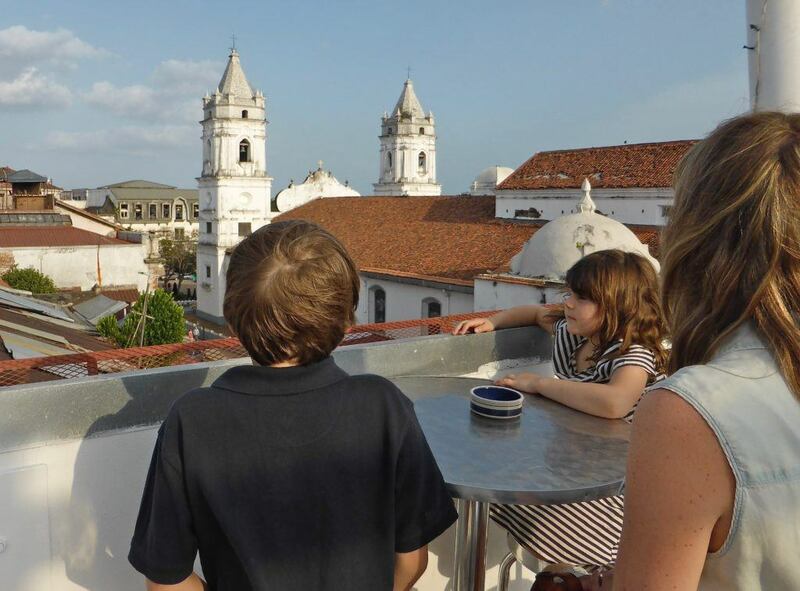 Stay: Casco Viejo has several great options for families. We chose Las Clementinas for its beautiful apartment style suites (including kitchen), pretty street level garden and the rooftop deck where we enjoyed a nice view and an evening cocktail while the kids safely ran around. Two others highly rated apartment style boutique hotels in Casco Viejo that could work well for families include Las Isabela Suites and Casa MarAlta. 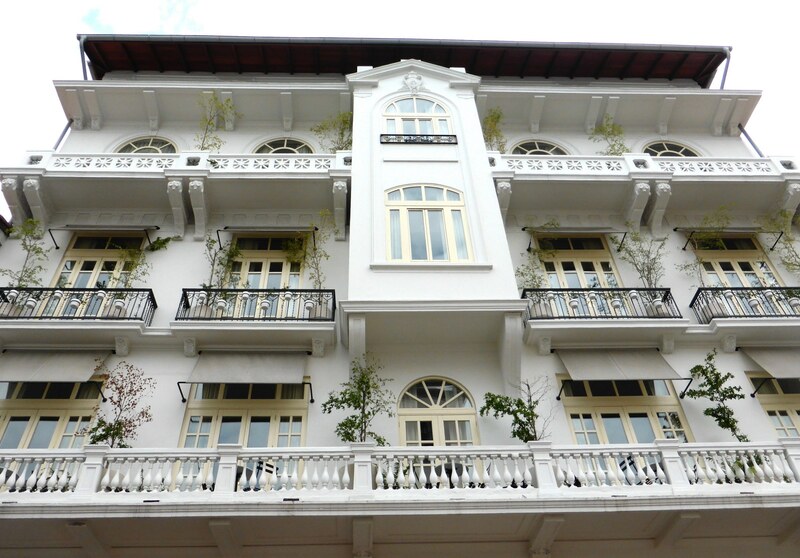 If you are looking for a hotel with a pool in Casco Viejo, check out The American Trade Hotel. Savor: It would take weeks to work your way through all the great restaurants in Casco Viejo. We enjoyed several nice meals in the area including dinner at The Dining Room in the American Trade Hotel. I would say that the food there is good – not great, but it is a lovely room and they have a kids’ menu. Also popular with families is Barrio Pizza. 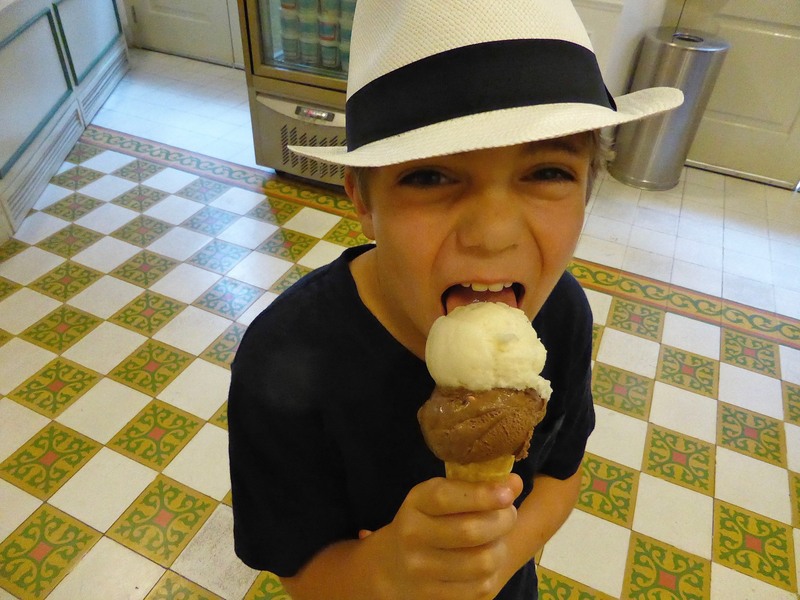 For quick gourmet bites and nice coffee try Super Gourmet or Casa Sucre Coffee House, and for indulging your sweet tooth visit Granclement for beautiful ice cream and sorbet. We loved it so much that we stopped by three times. *Don’t forget that Panamanians eat late. We made a 7pm reservation and were the only people in the restaurant until after 8pm. 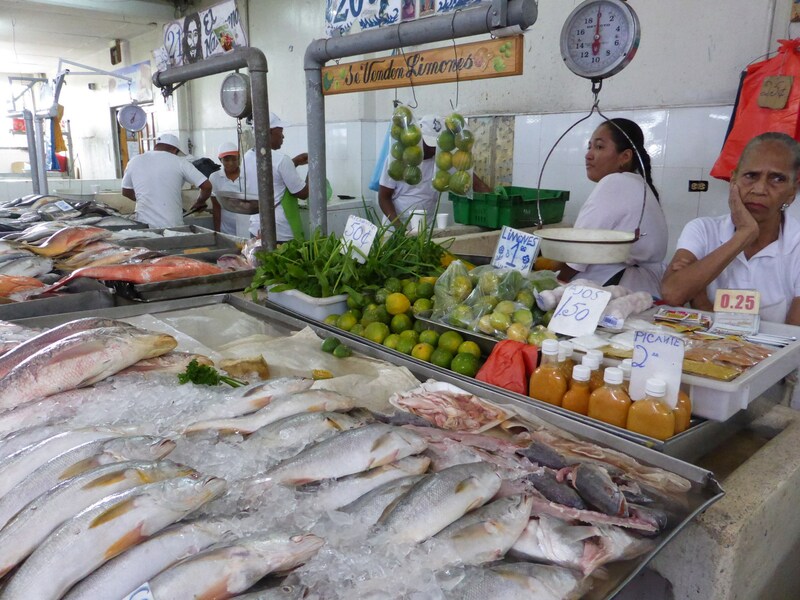 If you enjoy ceviche, a visit to the nearby Fish Market is a must. Please understand, however, that this is truly a working fish market, and even if you choose to eat at the restaurant upstairs (more choices for kids), it still smells like a fish market. The ceviche, however, is divine. *A word to the wise. If at all possible, avoid using the restrooms upstairs at the Fish Market. I won’t say any more….please, just trust me. The are many nice spots to enjoy a cocktail in Casco Viejo, but The Tantalo Rooftop Bar has incredible views of both Casco Viejo and, in the distance, the skyscrapers of Panama City proper. 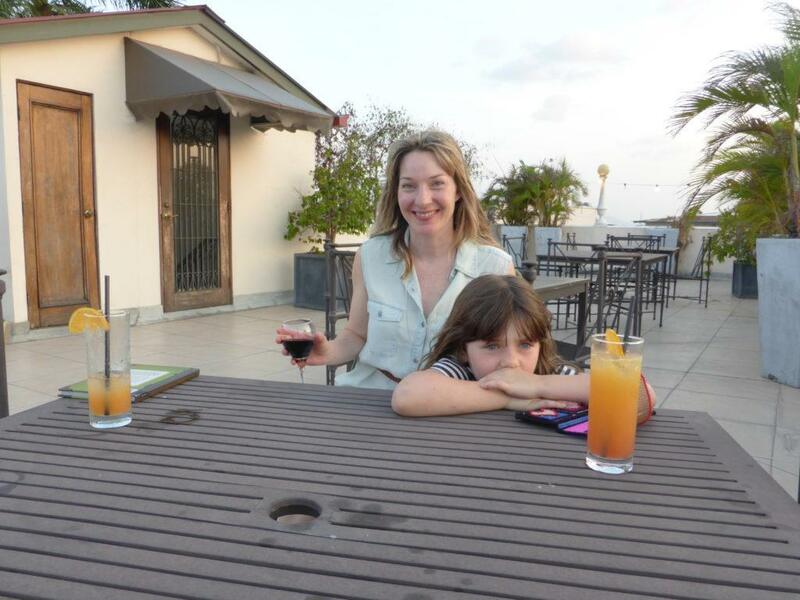 While the Tantalo Hotel caters mainly to those traveling without children, we were welcomed on the rooftop between their opening at 5pm, until 6pm While it was only a short window, it was worth the visit. Important: When it comes to large Latin American cities like Panama City, safety can, and should be a consideration. Before we visited, we made sure that we were aware of any specific safety issues by checking several government websites. For up-to-date health and safety information, including recommended immunizations, I like to use the websites of the Center for Disease Control and the U.S. Dept. of State.